As The Stig, he hammered supercars around the Top Gear track before becoming one of the world’s leading film stunt drivers. Hollywood heavyweights rely on Ben’s skills, but his latest assignment is the toughest of them all – finding the ultimate getaway car for a blockbuster stunt scene! Cars such as the McLaren 650s, Aston Martin Vanquish, Ariel Nomad, Jaguar F-Type and Ford Mustang are pushed to the absolute limit on Ben’s mission, as he dices with death with planes and tanks in hot pursuit. 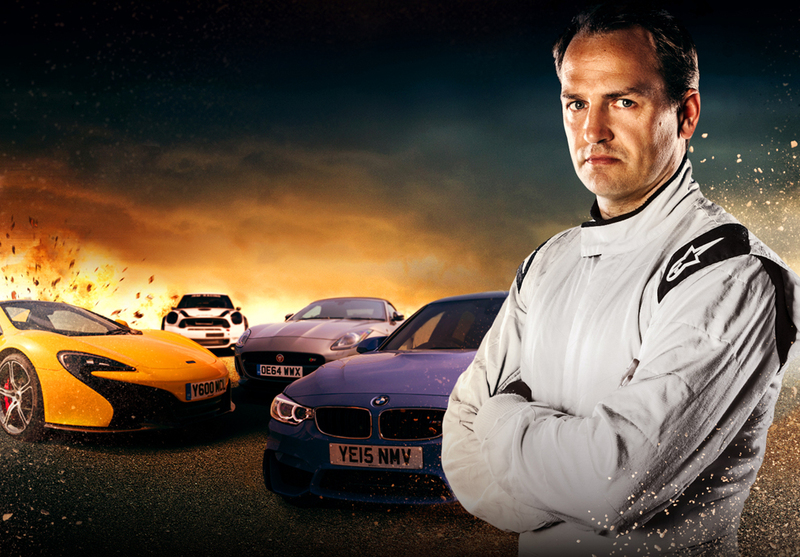 Ben Collins Stunt Driver is an unmissable, adrenaline filled joy-ride.